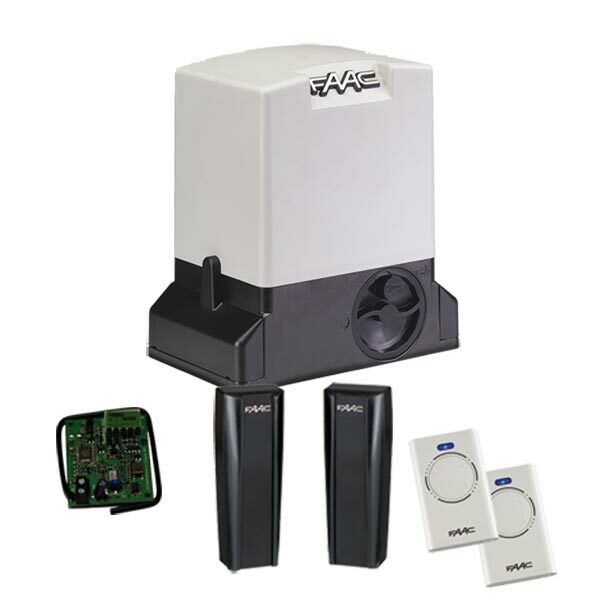 The FAAC 740 is a Cantilever gate motor which can be used for both residential and light commercial use. Featuring the safety features that you would expect of a 24v system, this 230v motor contains a virtual encoder for reverse on obstacle detection and accurate management of partial opening pedestrian access and slow down functions. Installation is quick and easy thanks to the built in, prewired control board. With a high level of programmability and adjustment is also easy to configure using 3 buttons and LCD display. Self-learning logic, magnetic limit switches and anti-crushing protection ensured by the control board directly controlling the drive torque make this a very advanced kit with flexible usage options. The gear motor is non-reversing for security, meaning that the gate cannot be moved unless the motor is running and there is no need for a separate electric lock. 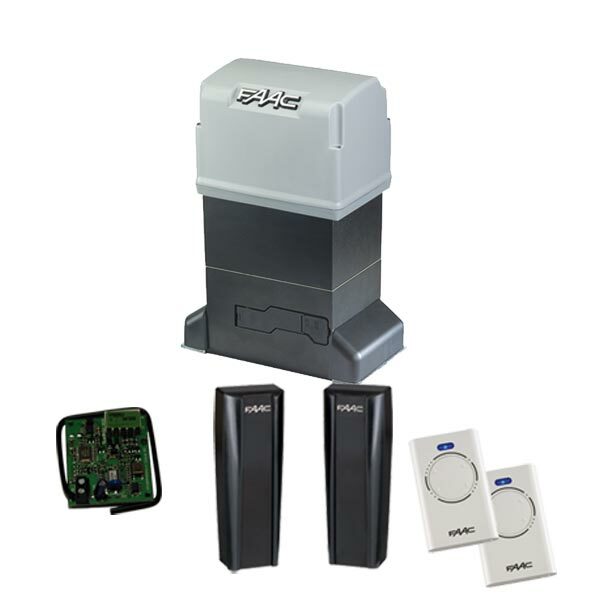 Don’t worry about losing operation during power outages though, the system is provided with a key protected release device and there is even the option to add a battery backup. With the ability to move a 15m sliding or cantilever gate, this kit is ideal for residential or light commercial use. With all of the features of this motor, installation time and cost is significantly reduced, making this a practical and robust solution.